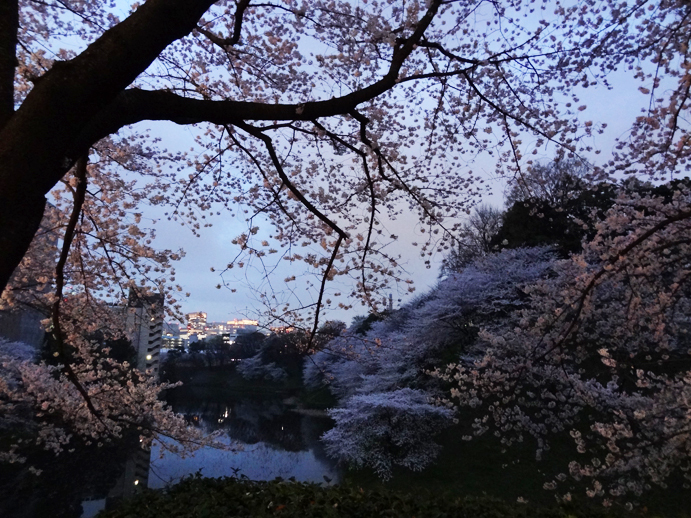 Speak again, Cordelia: A last glimpse of the cherry blossom season at Kudanshita. 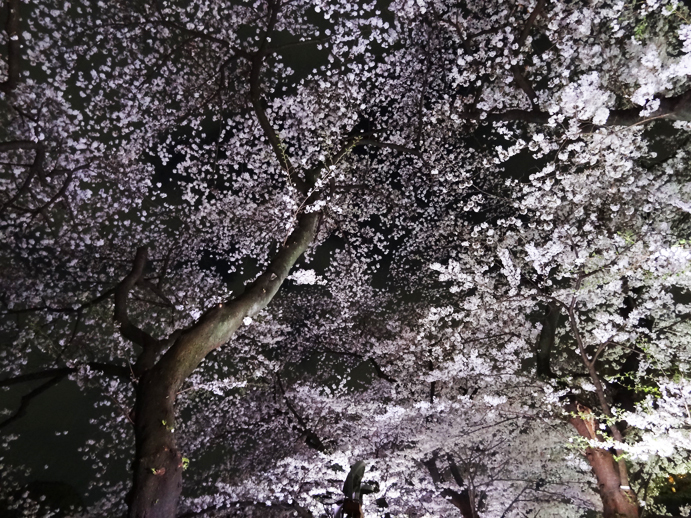 A last glimpse of the cherry blossom season at Kudanshita. 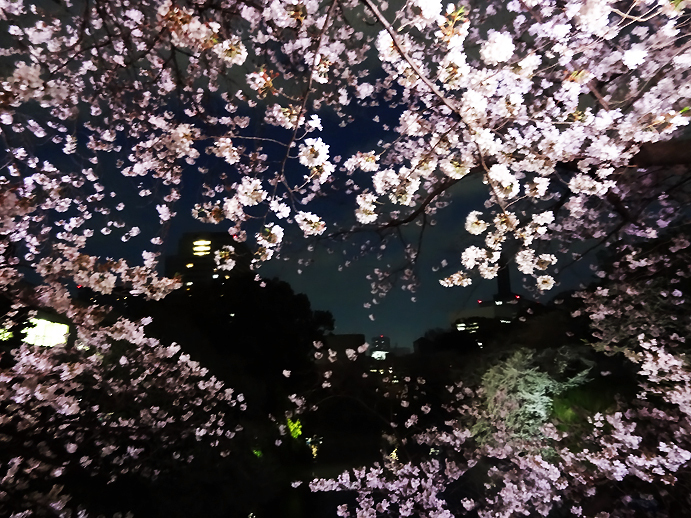 The cherry blossoms are already disappearing with each passing day. 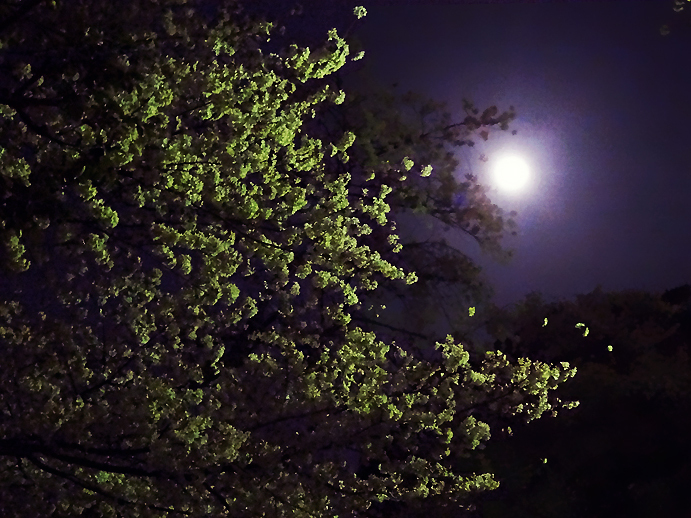 It's been windy this week, but I think the cherry blossoms really tried to hang in there for a little longer. Although it's gotten chilly again today, the previous two days were quite warm, and I took advantage of this eye in the storm as much as I could to spend more time outside. 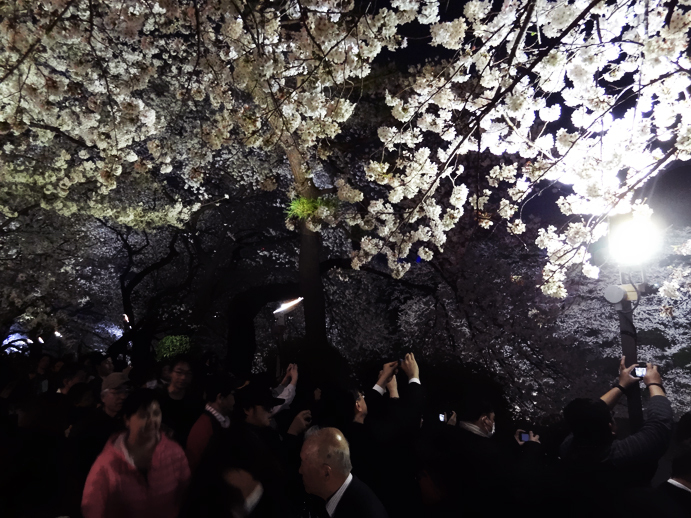 On Thursday night, my lovely friend Lisa brought me to Kudanshita to view some more yozakura before they disappeared for the year. 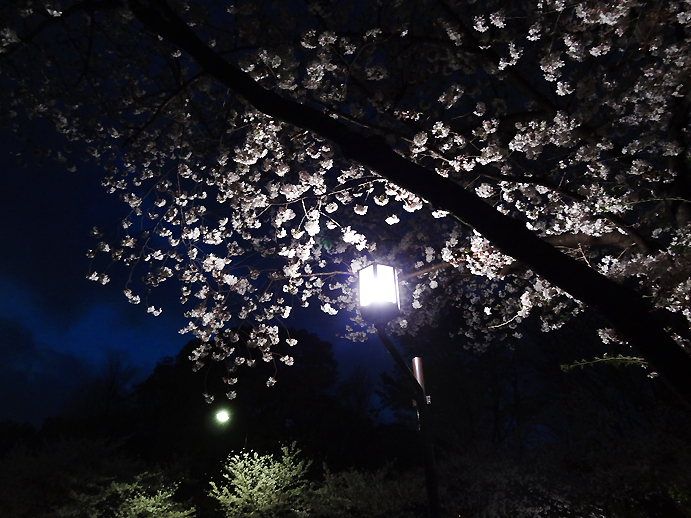 We got there shortly after 6'o'clock in the evening; the cherry blossoms were scheduled to light up at six-thirty. Before the sky got too dark, I snapped a quick photo just outside the station. 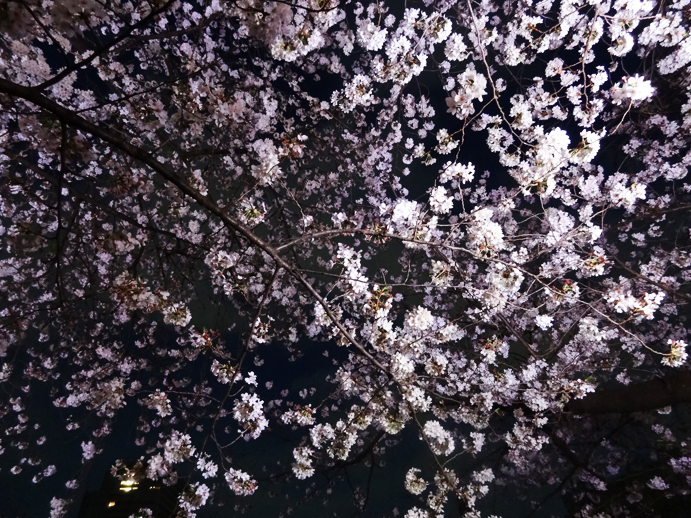 The flowers were so pretty and abundant, hovering over the water like snow. 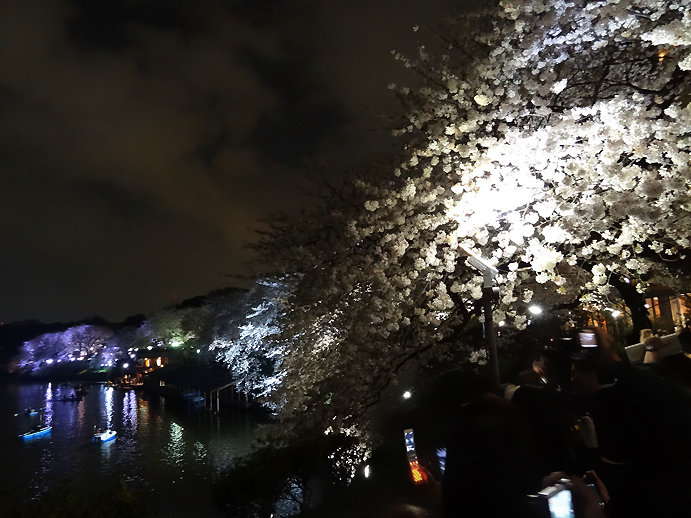 We walked on the street overlooking the water near Kitanomaru Koen, and it seemed that everyone around us was also there to catch a view of the blossoms at night. 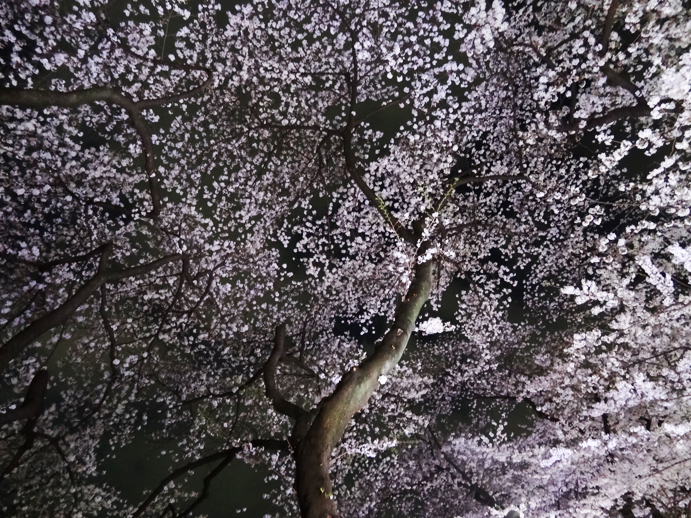 Looking up at the canopy of pink blossoms, I had an overwhelming sense of the otherworldly. It's as if this short-lived season is a temporary bridge transcending between our reality and something else out there. I felt as if I could have stayed in that intermediary state forever. 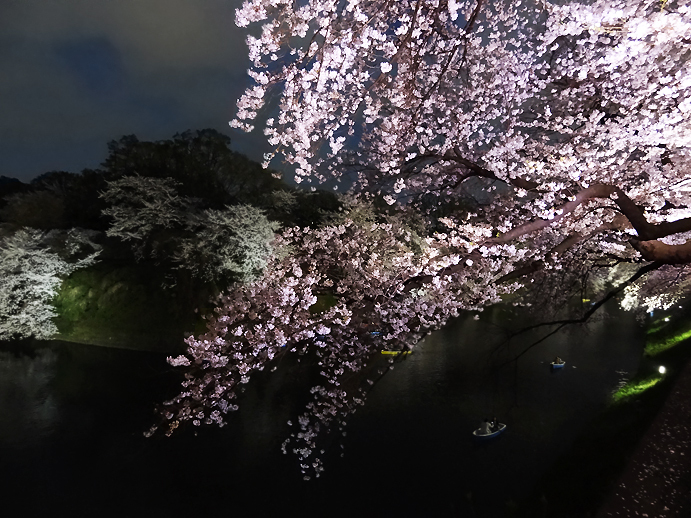 There was a one-way traffic of people traveling under the cherry blossom trees, and when we got near the end, there was a spot close to the boat rentals that seemed to be the most popular place for taking pictures. I wasn't really sure why, but in any case, I felt compelled to also take a picture here--albeit a not very good picture (oh, the disadvantages of being short). Then I decided the crowd of people taking photos made an even more interesting picture. It was a very relaxing evening. I'm so glad I was able to catch one last glimpse of this metaphysical beauty before it floated away to someplace else, far away. Please come back again next year. Such an intensely fascinating dream! Very alluring imagery, I enjoyed reading about it. Thank you for sharing!